Our walk in Studios in Cheltenham & Gloucester can help your business hit the ground running. We specialise in promotional items such as pens, mugs etc. But don't worry! We do things that other Nettl's do too, like websites and marketing. We work closely with Nettl of Gloucester to get you the best result! 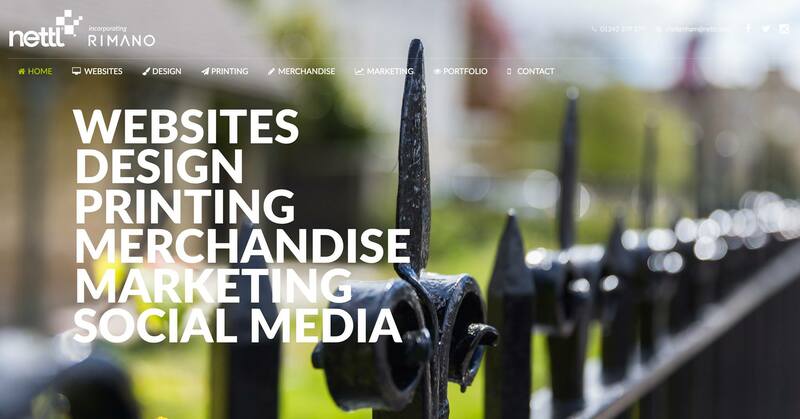 We’ve got a new look and will be new to some of you, but we’re known by many for our quality branded merchandise & print and very excited to launch our new Cheltenham Web studio. And now we’re Nettl too! Rimano is proud to be the official Nettl of Cheltenham! We’ve got great links with other Nettl’s so your website is in great hands with experience in all areas, pop in for a chat when you’re next nearby!